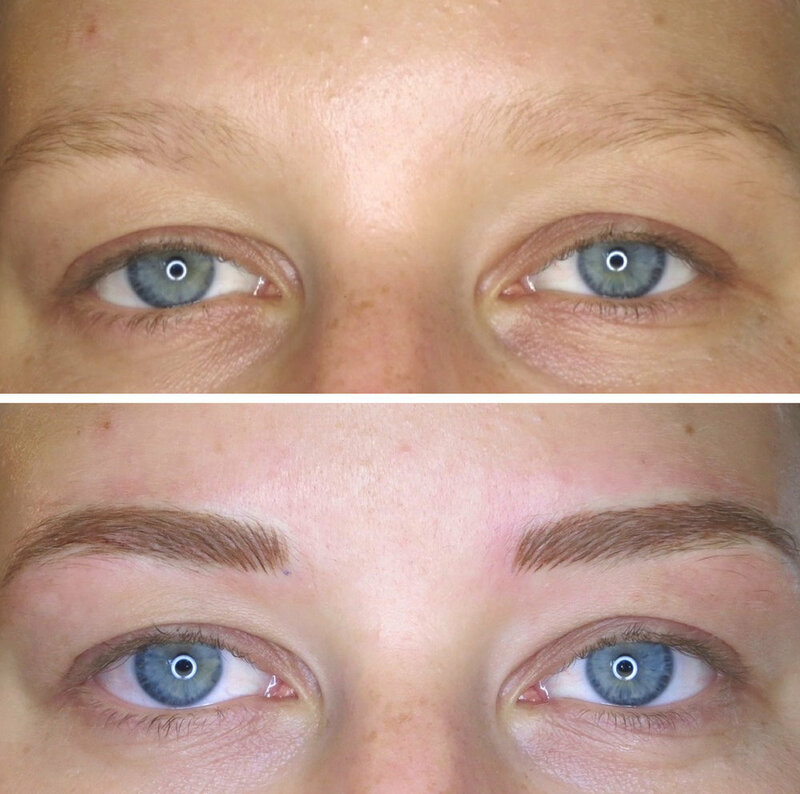 Feather Stroke Brows are for clients who would like to have the appearance of individual natural eyebrow hairs with a softened, yet three dimensional healed appearance. These are achieved by various methods of application, sometimes more than one for each service. Usually, I use the Softap method. This is achieved by gently tapping the color in, one hair at a time with a hand tool. The other way is with a digital machine and a single nano micro needle used to literally draw in the branchy effect of natural eyebrows. With either method I use a diluted pigment at the bulb to create an ombre brow tattoo that looks three dimensional and soft. This is a great service for getting that hyper-realistic, 3D, brow-embroidery look for clients who do not want or cannot do micro-stroke brows. Some of these clients include those on medications that cause them to bleed excessively or those that may not wish to do the 10 day dry heal. 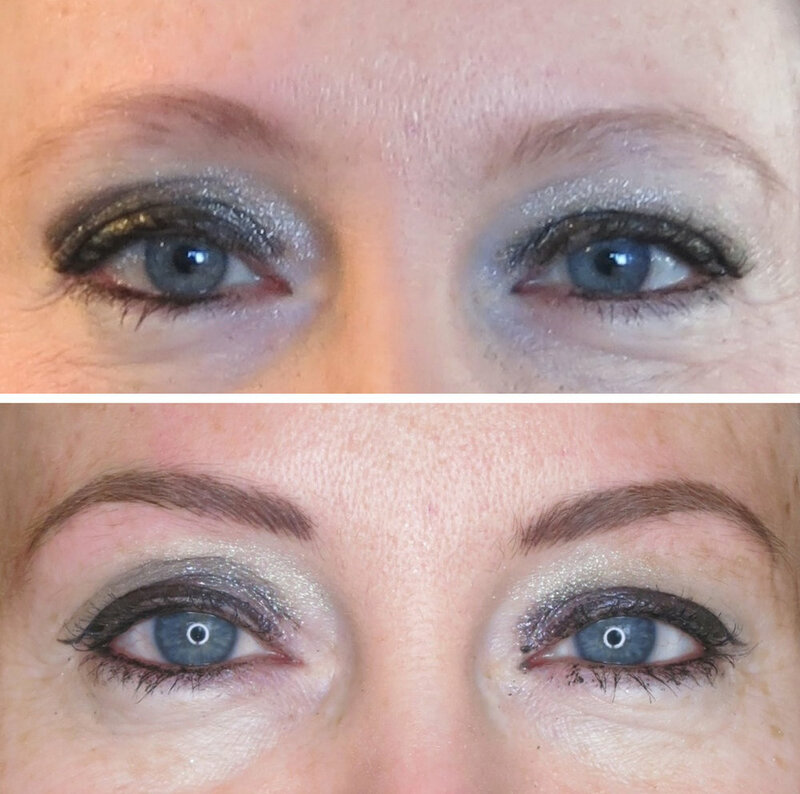 For more information on the entire Brow Service, please refer to the Microblade Brow Gallery. Before and after first service. Above shows 30 days healed after first service and below is directly after follow up.